Registration is now open for the 2019 British Orthodontic Conference – the largest event for UK dental professionals with an interest in orthodontics and this year’s theme is Looking Ahead. This year, the 25th anniversary of the British Orthodontic Society, the conference is being held at the SEC in Glasgow between the 19-21 September. As you would expect, there is a line-up of hugely respected speakers from the UK and around the world including Jay Bowman, Magali Mujagic, Sue Cunningham, David Birnie and Michael Millwaters. Professor Greg Huang from Washington State University will be delivering the prestigious Northcroft memorial lecture. 2019 sees a diverse programme with parallel sessions on Driving Private Practice and for those considering a career in orthodontics. There is also a comprehensive programme for DCPs. 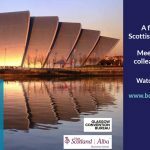 The BOC social programme always proves popular and the 2019 Gala is being held at the Glasgow Science Centre – a venue with a difference. The Crowne Plaza will be hosting the exclusive banquet and there will be plenty of opportunity for those wishing to see the sights and heritage of Scotland’s biggest city, and bike hire and tours have even been arranged. To book, please visit https://www.bos.org.uk/News-and-Events/Events/BOC-Glasgow-2019 An early bird discount is available for all bookings made before 30th June and a combined team rate is on offer too so that the whole team can come along, learn a lot and have fun.